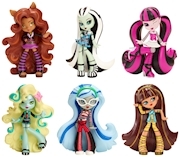 Since their debut, the ghouls and Mansters™ of Monster High™ have been showcasing their freaky fabulous flaws with scary cool style and hair-raising adventures. From the howlways of school to the catacombs below, from Scaris™ to Hauntlywood™, from picture day to dances, these children of monsters have entertained fans with their unique personalities and stories. 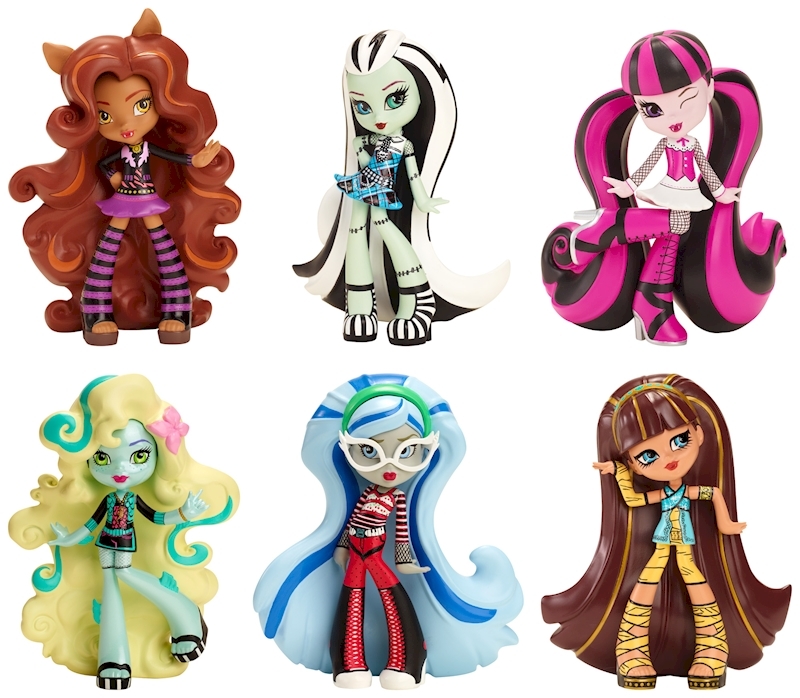 Now, favorite Monster High™ characters are available in a new vinyl form ideal for monster display! Molded with modern technology, these immobile figures are easily recognized in signature outfits that fans will recognize from the characters' original introductions. Dynamic poses capture their unique personalities, and uhhh-mazing details highlight their un-common Scaritages. Grab your favorite or collect them all for full class attendance! Each sold separately, subject to availability. Colors and decorations may vary.